An unknown person painted the words "slow down" 13 times on a road in New Hampshire. 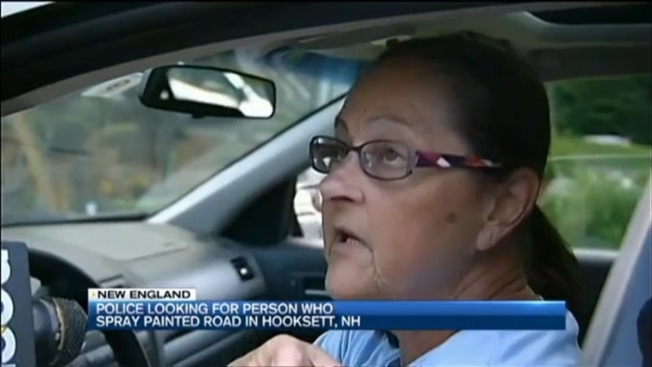 Authorities in Hooksett say they believe it was an elderly woman who painted the words along Farmers Road around 4 p.m. on Monday. Police released a surveillance video, hoping it will help to find who did it. The speed limit on this road is 30 mph, but neighbors say drivers typically go much faster. Police have not said if the woman will face any charges, but they are investigating.